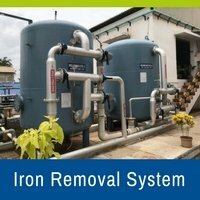 Iron Removal Systems has become the essential element in every water treatment system since Iron is the fourth most abundant element found in the Earth’s crust.Iron in water is a common problem in major countries. The prevalence of iron in the ground is why it is so often found in water. Iron and other contaminants can be detected by using test kits, which are designed to detect specific elements like Iron and Manganese, these may be present in various concentration levels, which can only be identified. Iron removal plants, Iron is one of the most abundant metals of the Earth’s crust. It occurs naturally in water in soluble form as the ferrous iron (bivalent iron in dissolved form Fe2+ or Fe(OH)+) or complexed form like the ferric iron (trivalent iron: Fe3+ or precipitated as Fe(OH)3). The occurrence of iron in water can also have an industrial origin ; mining, iron and steel industry, metals corrosion, etc. A particle fingerprint of the treatment, resulting in a quantification of particles breaking through the rapid sand filtration. Small column experiments on the oxidation and filterability of iron. The fingerprint showed that operational events such as switching on/off of filters and backwashing have a significant impact on the volume concentration of particles breaking through the filter. A frequency plot of the different size ranges of particles indicates that mainly the filterability of the middle size ranges (2–7 µm) of particles was influenced by switching a filter on/off. A backwash event mainly affects the bigger particle size ranges. The column experiments showed that in the cascade effluent the majority of 20 the iron is dissolved iron, indicating that the oxidation of iron to iron(III) is the rate determining step at Harderbroek, which is limited by pH. Dosing caustic soda resulted in a significant increase of the oxidation rate and improved the removal of iron(II) in the column. Crushed limestone filtration gave promising results, but the contact time applied was too short to completely oxidize iron. Why an Iron Removal Systems is needed? The problematic elements like Iron, Sulfur and manganese which is present in water causing a thick, sediment which in result blocks up pumps and taps, filters. Iron sedimentation at a higher level can cost your entire water treatment plant. The Iron removal systems reduces the level of contaminants sedimentation by increasing the oxidation process and converting into rust. The rust particles can be filtered out using Ultrafiltration or Nanofiltration Process. Iron Levels such 28 ppm and more are treatable. In ground water or tube well water presence of iron and manganese has always been a matter of concern. Presence of these elements in water does not pose a risk to human health but it can cause unpleasing taste, odor and staining, which is not accepted in most of applications in domestic use as well as commercial and industrial use; therefore, oxidation filtration often knows as iron removal process is employed to remove naturally occurring iron and manganese from water. For this complete iron and manganese removal process an iron removal filter is utilized. For domestic (home) and light applications portable iron removal filter is enough, while for commercial and industrial use large iron removing (de-ironing) plant is required. The process through which iron is removed from water is known as Oxidation Filtration that involves the oxidation of the soluble forms of iron (Fe) and manganese (Mn) to their soluble forms and then removal by filtration. The oxidant chemically oxidizes the iron and manganese (forming a particle), and kills iron bacteria and any other disease-causing bacteria that may be present after that the filter removes the iron and manganese particles. For an accurate iron removal system whether it is in residential/commercial/industrial application. The criteria such as the total amount of water in demand, operating hours, pressure of the water, suspended solid contents, Turbidity, pH and most importantly the Iron and Manganese levels present in your water to be considered before installing an Iron removal system. The dissolved iron content needs to be converted into suspended form in order to filter it. Hence, effective removal of iron consists of two processes. ie., Aeration Process and Filtration Process. Bore well water is pumped into an aeration tank (on-the-ground) trifurcated into equal sized chambers, The raw water is allowed to sprinkle in the first chamber through specially designed perforated sturdy sprinkler pipes. From the first chamber, the water travels to the other two chambers through precisely designed multiple vents located at variable heights of the baffle walls thus producing a zigzag motion in water. By the time the water reaches the third chamber, it naturally establishes maximum contact with air and thereby the dissolved iron content gets oxidized and becomes suspended iron. In case the pH of the feed water is acidic, measured dosing of a suitable oxidizing agent is required to facilitate and expedite aeration. If construction of surface aeration tank is not viable on account of space constraints, the same can be constructed under the ground (sump). In underground aeration tank aeration is facilitated through mechanical means by using a blower and diffuser . A sludge removal pump may also be used to remove the sludge precipitated underneath. Total volume, dimensions and design of the aeration tank are vital parameters which decide the aeration efficiency of the tank. Bore well water is pumped into a single chamber aeration tank ( sump or HDPE tank) through specially designed sprinklers. This water is allowed to stagnate in aeration tank for a period of 4 to 8 hours for effective aeration depending on the iron content in the raw water. In case the pH of the feed water is acidic, measured dosing of a suitable oxidizing agent is required to facilitate and expedite aeration. This aerated water with suspended iron particles is sent through the Ferrous free iron remover unit with depth Filtration Technology. Ferrous free iron remover consisting of five layers of unique filter media oxidizes the leftover dissolved iron content and effectively filters the suspended iron, turbidity, suspended solids, bad color, taste and odor by VOID creations throughout the media depth and even-load distribution. Ferrous free iron removers are designed based on exact flow rate formula. Water Filtration Process – Backwash Process: After the filtration process, the accumulated suspended iron particles will have to be removed from the ferrous free unit by sending the water through reverse direction. In reverse direction, the water with sufficient pressure agitates the filter media and takes out all the iron particles through the drain port. Once the backwash is completed, the agitated media is allowed to settle by gently passing the water through the filter media. Conventionally, iron is removed from groundwater by creating a strongly oxidizing environment. This is usually achieved by aeration; by the addition of oxidants such as chlorine or by raising the pH of the water using alkaline materials such as limestone.Under such conditions, soluble ferrous iron is oxidized to ferric iron which subsequently forms a precipitate of insoluble iron hydroxide which may then be removed by filtration.This technology has been successfully adopted to treat ground waters around the world for many decades. In the past ten years, biological iron removal filters have been promoted as an alternative to the traditional chemical approach. Microbiologists have known for many years that certain bacteria are capable of oxidising and immobilising iron. The bacteria responsible for the process appear to be natural inhabitants of the well environment and therefore, the microorganisms necessary to initiate the process are carried with the groundwater on to the filters. The active population of iron-oxidisers, which requires aeration in order to stimulate its growth, grows on the surface of the filter bed in the form of a slimy orange mat. It is within this zone of bacterial activity that the iron removal process appears to occur. Proponents of biological iron removal claim that this biologically-enhanced process is more efficient than the chemical process. How to ensure that your iron removal filter is “biologically-enhanced” ? There is some debate about the categorization of iron removal systems as “chemical” or Technologies which involve the addition of chemical oxidizing agents such as chlorine are clearly designed to promote a chemical process and are likely to inhibit bacterial activity. However, the majority of earlier hand pump-attached filter designs rely simply upon aeration to promote chemical oxidation and precipitation, a feature that is common to our biologically-enhanced version. Evidence suggests that iron bacteria are ubiquitous and that significant populations exist in many well environments where iron containing groundwater is being abstracted. Therefore, it is probable that earlier chemical iron removal filters were in fact biologically-enhanced. Similarly, it is quite likely that chemical oxidation plays a role in a biological system. Austro Water Tech is one of the technical group company offering Total Water Management solution. 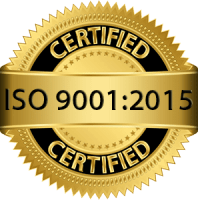 Austro Water Tech comprises of highly qualified technocrats in the field of Wastewater Treatment Management. Austro Water Tech solutions has a worldwide capability in the water treatment and this is based on expertise and experience in a broad and small range of well-proven processes. An extensive portfolio of new, advanced and innovative technologies which have been developed to help meet increasing demands for improved quality.